Blend in Coconut, mint, coriander, ginger, garlic & green chilli to a fine paste. Heat oil in a pan temper with cumin seeds & add in the green paste. Season it well. Add in 4 cups of water to the mix & let it boil. Add in the soaked rice,peas & cook it well. yummy rice,perfect colour...too gud presentation,luks fantastic. Sounds refreshing and lovely. You didn't mean to say "mint rice" in the ingredients, right? This sounds a quick recipe and healthy too. Beautiful and vibrant colour looks tasty. 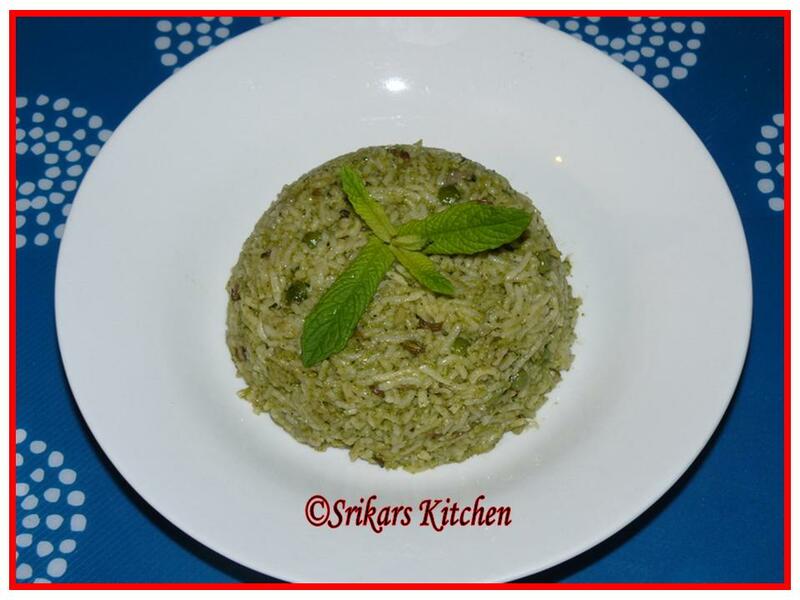 Awesome and gorgeous green rice, makes me hungry..
பீஸ் உட்பட முதலிலேயே எல்லாவற்றை அரைத்து சேர்த்து சமைப்பது புதுசு...கண்டிப்பாக செய்து பார்க்கிறேன்.. Wonderful recipe.. cute presentation !! Love the color of this rice..Looks fantastic.. 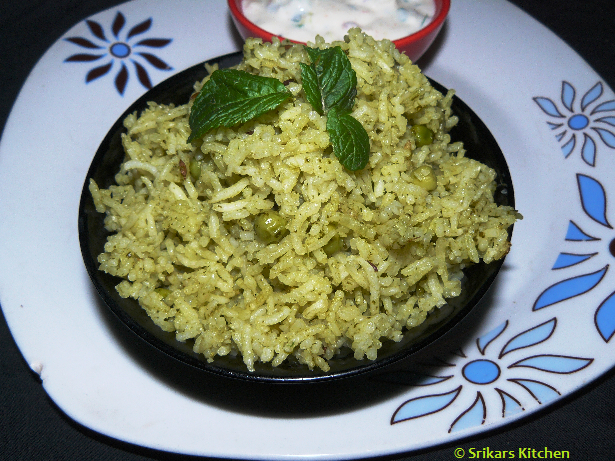 This looks like a quick, healthy and a yumm rice dish! Wow !!! The combination of mint, coriander and garlic is awesome. Just loved the smell of it. I tried it as sauce for sandwich and pasta too. Came out really well. Thanks!! !